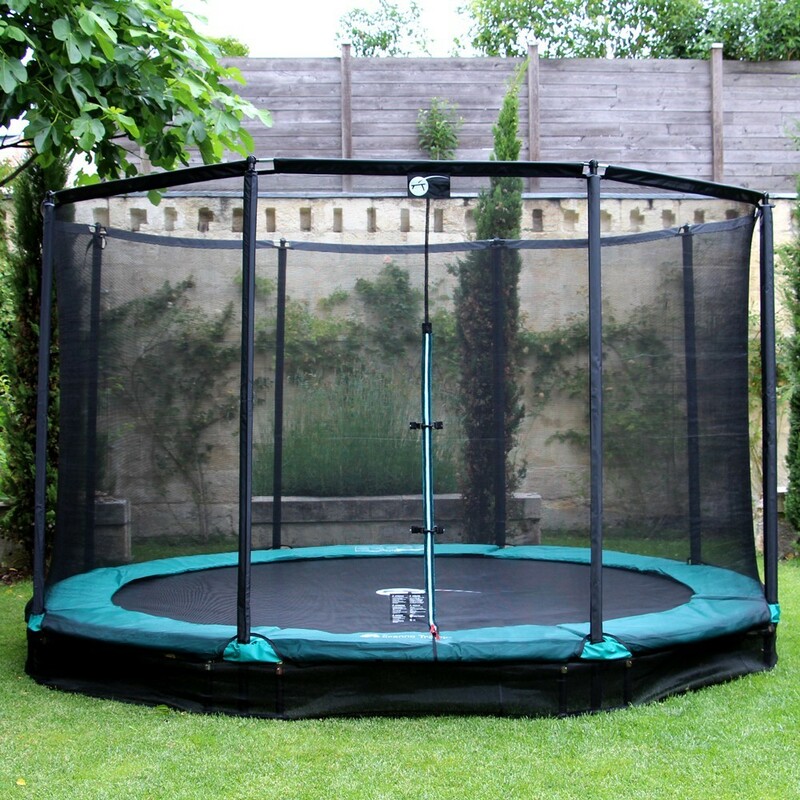 Mirage 360-cm in-ground trampoline that fits discretely in your garden. The ideal trampoline for the whole family. Been looking for a discrete, family-style trampoline? Look no further! 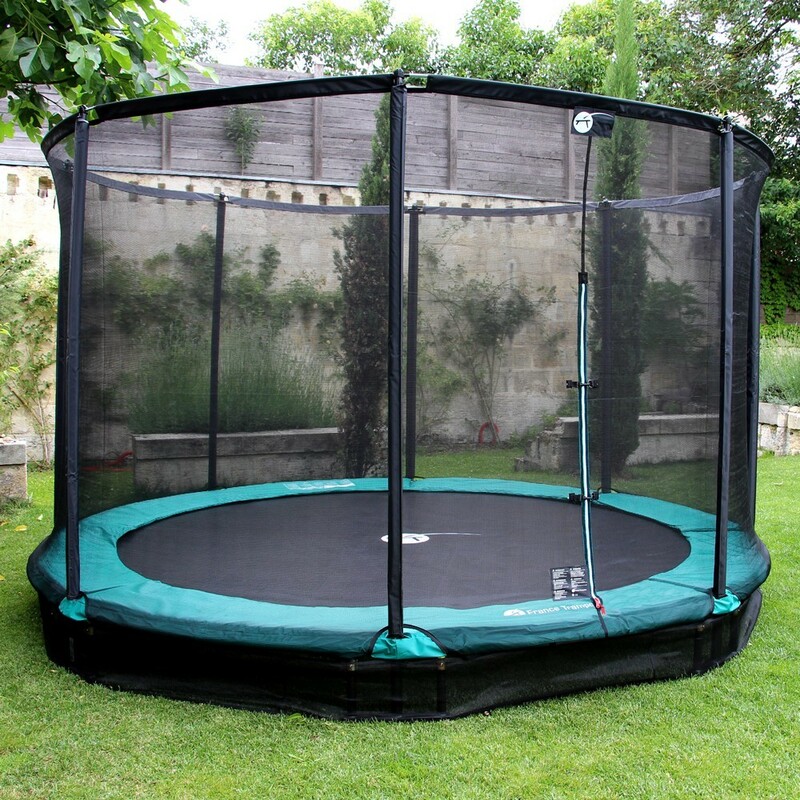 France Trampoline's in-ground trampoline lets you enjoy trampoline fun while blending in to your garden's decorum. - A quality trampoline with a diameter of 3.66 m: its generous size will provide hours of entertainment for kids and teens (and adults! ), but will fit right in your mid-sized garden. - The structure of this in-ground trampoline is made of galvanized steel to enable you to leave it outdoors for many years. 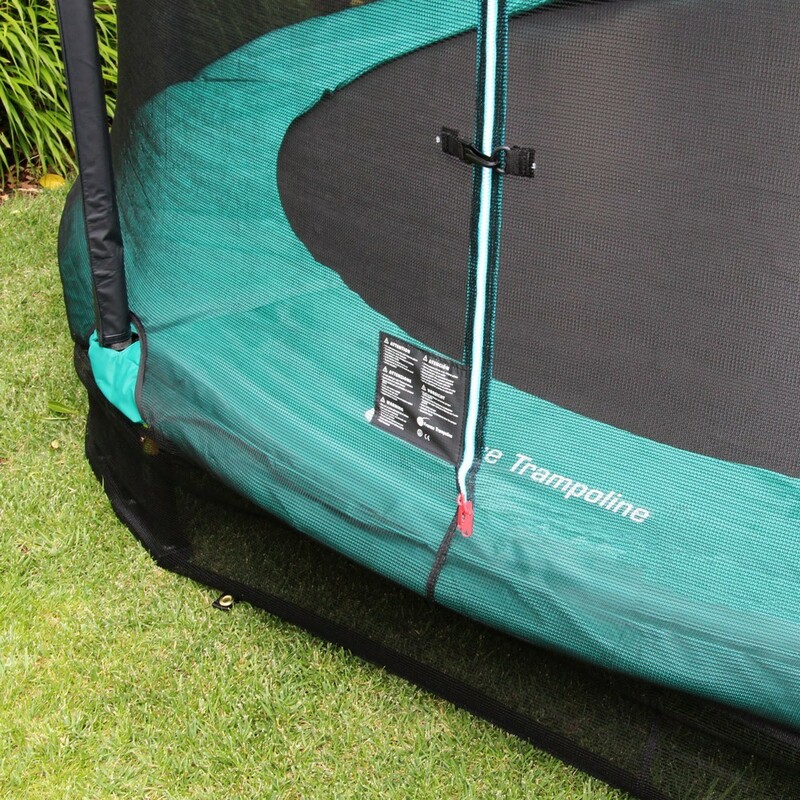 The thickness of its tubes and their diameter are guarantees that your trampoline will last a long time. - The green safety pad will blend right in to your lawn. 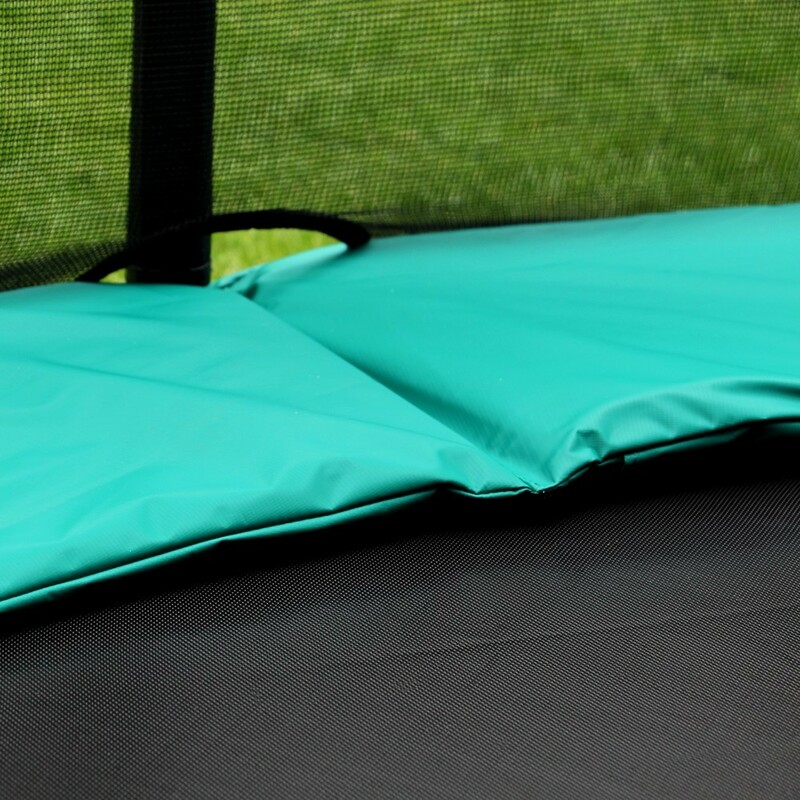 Its thick EPE foam brings added comfort to your trampoline, and will cushion any falls. 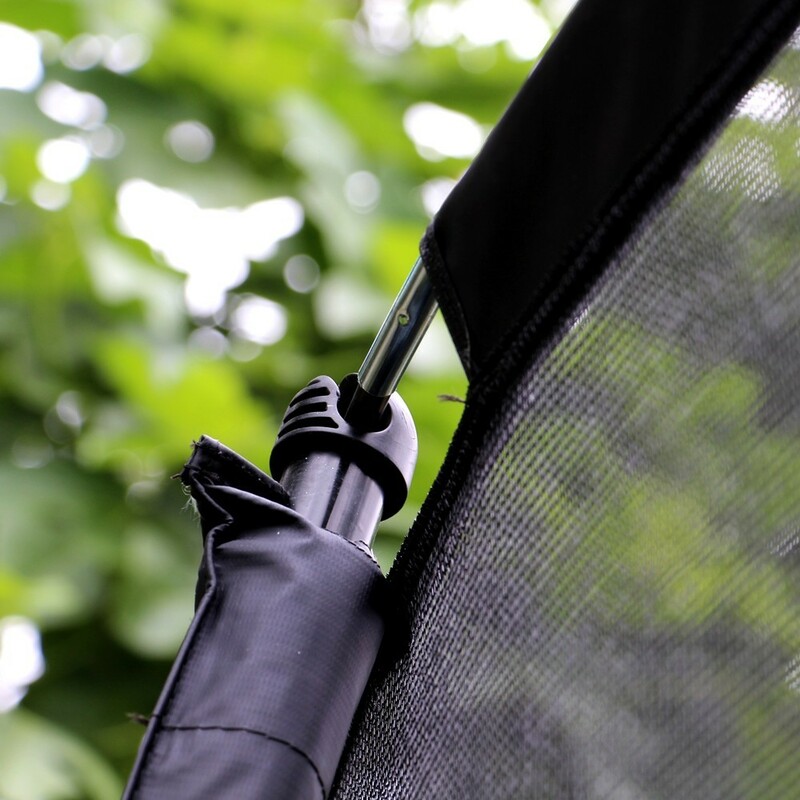 The PVC pad covering is made of the same material as a lorry tarpaulin. - Sold with its safety enclosure, it sits on 8 trampoline legs, and is maintained by a fiberglass rod. 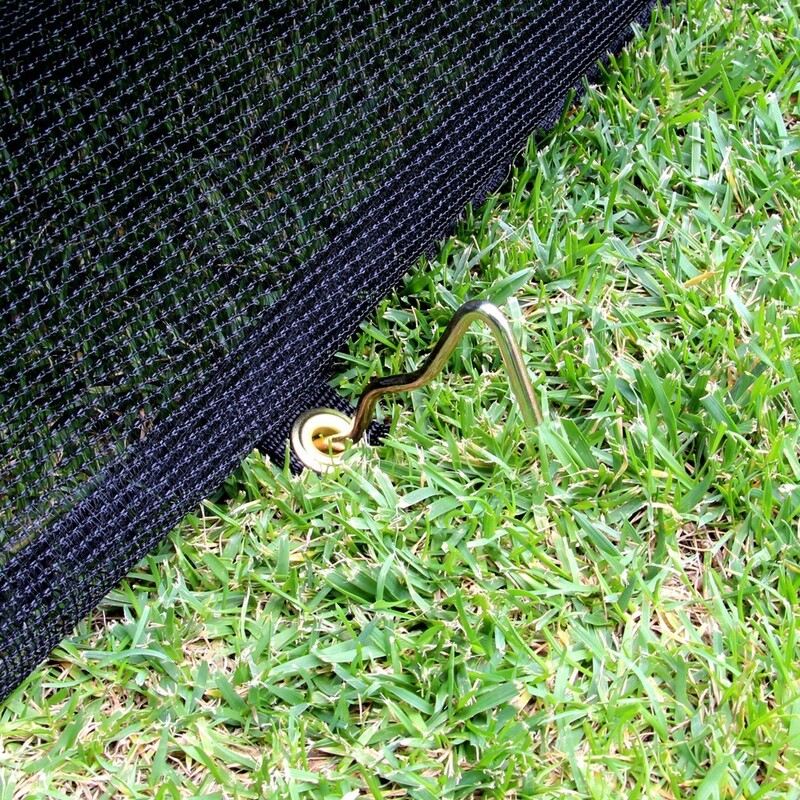 This mesh jumping mat is reinforced by 8 rows of stitches to provide a high level of resistance. 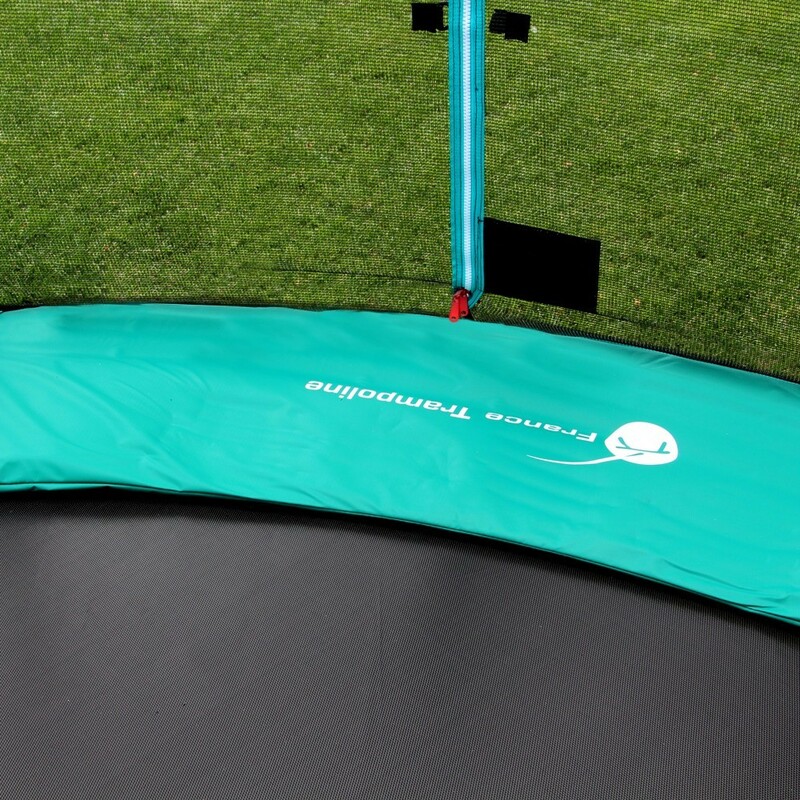 Your trampoline will be able to withstand user weight of up to 120 kg. 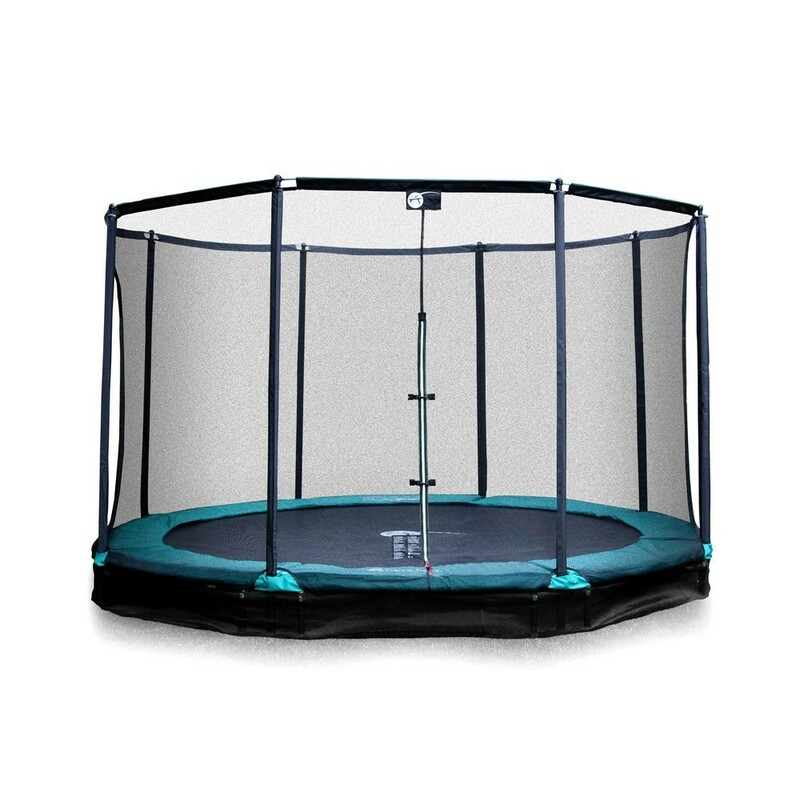 The trampolines are equipped with a Premium quality safety net, and the net's steel frame tubes go all the way to the ground for optimal stability. The net's perfect tension is ensured by fiberglass rods. The opening is secured by a vertical zipper.